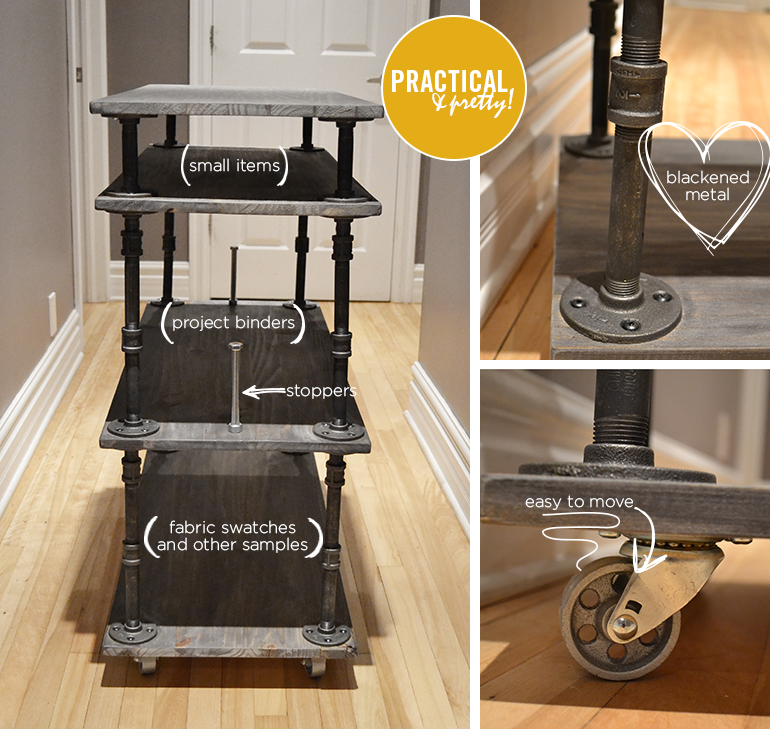 A cool way to add an industrial/rustic vibe to your space. 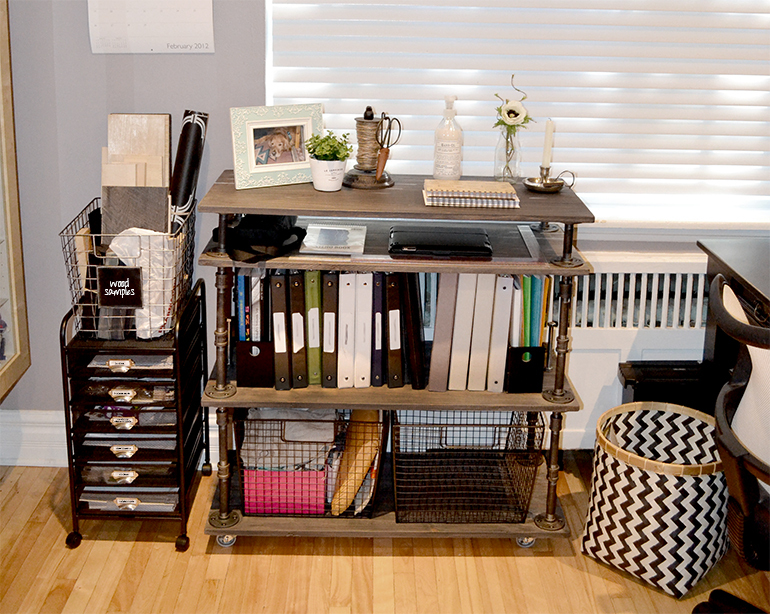 I built this particular unit for my home office to help keep all of my frequently used stuff accessible and organized, but, the same concept can be used around your home or office for a ton of different functions! The narrow top section is used to store items like: long rulers, tape measures, paint swatch books and small notebooks. The middle section is perfect for bulky project binders and frequently used catalogues (notice the long bolt stoppers on each end to ensure binders don’t fall off the sides). The lower section was made to fit two wire baskets which contain various fabric swatches and other bulky samples. I went with old-style blackened metal piping and coordinating flanges to get a more authentic/vintage look. Required: wood, power drill, power sander, assorted sandpaper, drilling bits and screwdriver bits, screws, pipes, pipe joints and flanges. Optional: wood stain, wheels. You can leave the wood natural or stain it! I opted to stain it since my floors are light, I wanted a contrast. Made to measure for your space.